Xiall, the Vanguard of Bone, draws upon the power of order and structure to ensure that the strength of the Underworld shall not be broken. 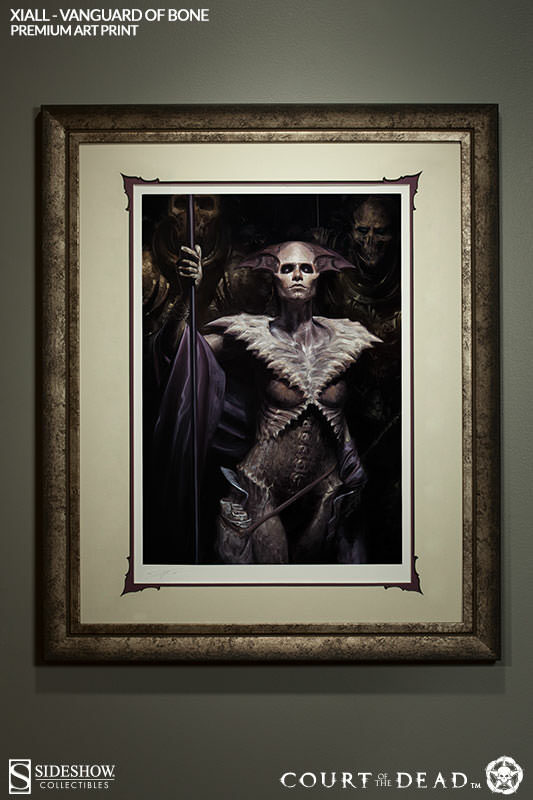 From our all-original Court of the Dead collection, Sideshow Collectibles is proud to present the Xiall: Vanguard of Bone Premium Art Print by David Palumbo. This 18x24" hand-numbered, limited edition gallery art print features an authorized, automated penciled signature, an embossed seal of authenticity, and a frame.